The family of the late Wilbert Blackman receives his posthumous award. 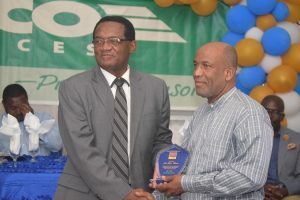 “Today is set aside for recognizing those who have contributed to the local cooperative movement over the years and today we appreciate the work and contributions of individuals, which serve not only to encourage them to continue the good works, but also as a motivator in the coming years,” said the Honourable Eugene Hamilton, minister of agriculture, marine resources, cooperatives, environment and human settlement at the ceremony, the second of its kind. 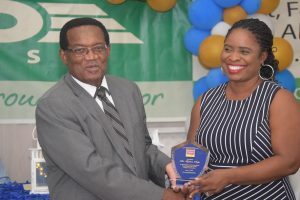 Minister Hamilton made special mention of a pioneer in the cooperative field, the late Wilbert Edmund Ingle Blackett, who was given a special posthumous award for being the first registrar of cooperatives. 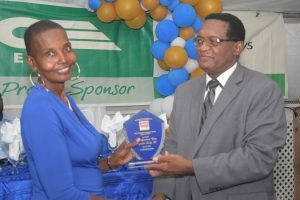 Hamilton also said that Blackett registered the first Seventh Day Adventist Youth Handicraft Cooperative Society Limited back in 1969. According to Hamilton, 15 cooperatives were registered during Blackett’s tenure. 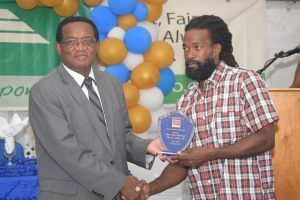 “We want to thank the Blackett family for joining us today to honour his work; he committed his life to his work,” Hamilton said, highlighting two noteworthy cooperatives that were registered by Blackett – the Nevis Cooperative Credit Union and the Nevis Fishermen Cooperative Society, which are still operational today. 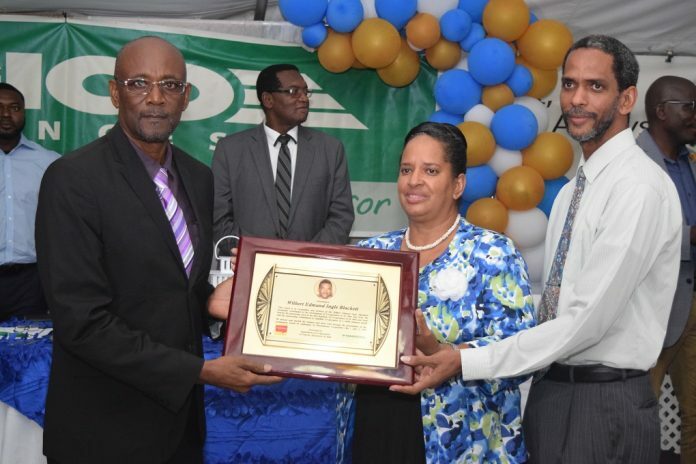 The five other individuals awarded were Tryphena Hodge, Yvette Ross, Roatter Johnson, Vernice Rogers and Ralph Wharton. 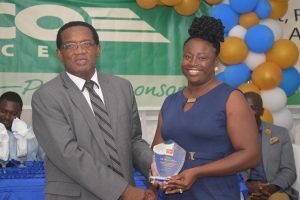 These individuals were recognized for their excellent contributions and volunteerism as representatives for the Junior Savers Cooperative Society and the School Apex Cooperative Society at various primary schools throughout the federation. 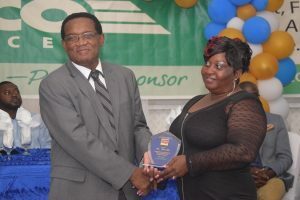 Additionally, the Gideon Force Agricultural Co-operative Society Limited was awarded for Best Financial Records and Cooperative Society of the Year 2017 and Fahie’s Agricultural Women Cooperative Society Company Limited was awarded for most Charitable Cooperative Society for 2017. The Department of Co-operatives, in collaboration with the local co-operative movement, and allied agencies are celebrating Co-op Week 2018 July 1-8 under the theme “Sustainable Consumption and Production of Goods and Services.” Some of the activities for the week include radio appearances to promote the local cooperative movement July 5, a fair at Independence Square July 6, the re-opening of the public market in Sandy Point July 7. 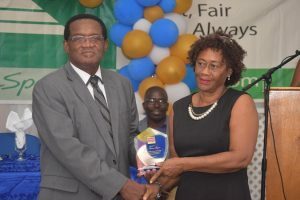 On July 1, there was a church service at the Peoples Evangelistic Centre at Needsmust Estate and on July 2, there were talks in primary schools by noteworthy authorities of the cooperatives.